Candy Displays Attract Last Minute Purchases! 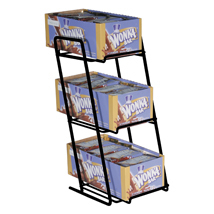 Great for small boxed candy, gum, trading cards and more, these 3-tier retail counter display racks are ideal for countertops. The front lip of this candy display keeps boxes in place. 5 1/2 in. between shelves and the interior dimension of shelves measure 5 5/8 in. 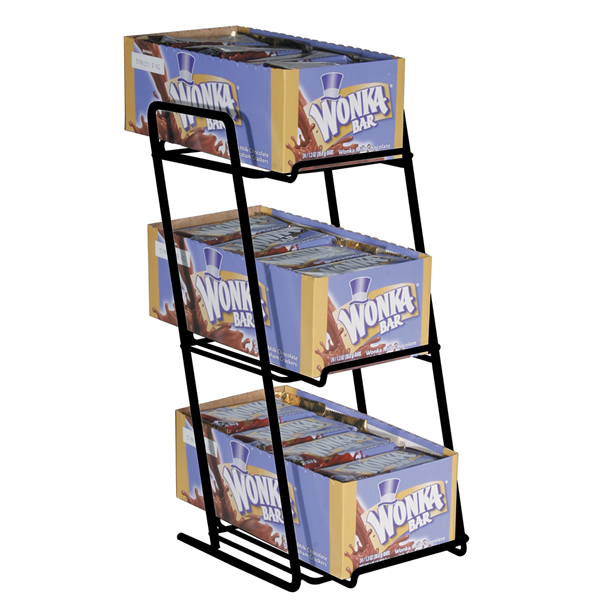 W.
For additional options, we ask you to take the occasion to peruse our thorough inventory of candy displays at Specialty Store Services now.